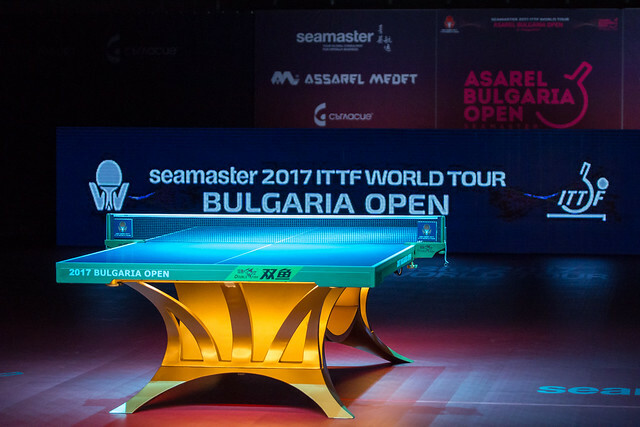 The quarter-finals stage of the Seamaster 2017 ITTF World Tour Asarel Bulgaria Open Women's Singles competition concluded on Saturday 19th August, and as expected it was the two higher seeded players involved in action who progressed from the round. Honoka Hashimoto is just one win away from potentially appearing in the Women’s Singles final in Panagyurishte, after pulling off a superb victory over fellow countrywoman Hina Hayata. Both players appeared on the seeding list with Honoka Hashimoto and Hina Hayata occupying fourth and sixth positions respectively, and in the end it was the higher seeded competitor who came out of the tie with more reasons to cheer. Making a bright start to the match Honoka Hashimoto managed to sail into a commanding lead on the scoreboard, picking up the opening three games. While Hina Hayata responded in the fourth end her campaign was brought to a close a game later with Hashimoto claiming the available spot in the semi-finals (11-6, 13-11, 11-8, 7-11, 16-14). The other quarter-finals tie in the lower half of the draw saw a sharp performance from teenage star Mima Ito. Seeded second for the event Mima Ito went into her match against fifth seed Sakura Mori as the slight favourite to progress, and without facing too many difficulties Ito successfully negotiated the last eight with a straight games win (11-5, 11-3, 11-2, 11-2) setting up a meeting with Honoka Hashimoto in the penultimate round. Kasumi Ishikawa and Miyu Kato go head-to-head in the upper half of the semi-finals draw.